Nick Badminton, CEO of South African retail giant Pick n Pay, has been voted the International Retailer of the Year by the prestigious US-based National Retail Federation (NRF). The award, presented at the NRF’s Annual Convention and Expo in New York on Tuesday, goes to “an individual who has achieved international recognition for excellence”, selected by global industry leaders. “Retailers who succeed in carving out a place for themselves in a world where there is so much competition should be commended,” said NRF president and CEO Tracy Mullin. “Great leaders create great companies”. The NRF is the world’s largest retail trade association, with members including department, specialty, discount, catalogue, internet, independent stores, chain restaurants, drug stores and grocery stores as well as the industry’s key trading partners of retail goods and services. It also represents more than 100 state, national and international retail associations. 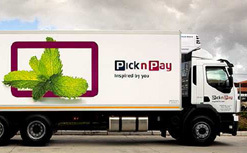 The award comes a year into Pick n Pay’s 24-month, R110-million brand makeover. “The NRF wrote to us last year saying we had been selected,” Badminton told The Times. “It came out of the blue, but it is nice to be recognised internationally. “This award is an acknowledgement of an incredibly supportive board, management team and thousands of exceptional employees. Badminton began his career at Pick n Pay as a trainee manager in 1979, becoming an assistant manager in the same year. He soon started to scale the corporate ladder, going from store manager to regional manager to buyer. In 1994 he was appointed general manager of the Western Cape, and in 1997 received the Chairman’s Award – the highest accolade for an individual at Pick n Pay. He was appointed to the Retail Management Board in 1998 and became managing director of Pick ‘n Pay Retail in May 2001. He was made chief executive designate in August 2006 and took over as chief executive in March 2007. Pick n Pay is a family-controlled business established in 1967 and listed on the JSE stock exchange in 1968. The Group operates through three divisions, the Retail Division, the Group Enterprises Division and Franklins Australia, each with their own managing director and management boards. In 2008 the company’s turnover increased by 15.4%, trading profit by 16.9%, operating profit by 18.3%, headline earnings per share by 10.1% and dividend per share by 11.1%. Meanwhile, South Africa’s other major retail group Shoprite said yesterday that its turnover grew 27.3% to R29.6-billion for the six months to last month with the group’s African business continuing to forge ahead. Turnover growth on a like-for-like basis increased by 22%. Shoprite’s supermarket operation in SA increased sales 24.5% and 20% on a like-for-like basis while its non-local business continued to perform ahead of budget, growing rand turnover 54% and, on a like-for-like basis, 50.3%. The group said the main contributing factor was the fact that most currencies strengthened against the rand. Absa Asset Management Private Clients analyst Chris Gilmour told Business Report Shoprite’s turnover growth was “outstanding” and highlighted how astute the company was in gaining first-mover advantage in the rest of Africa over a decade ago. “This has helped to diversify the group’s business at a time when consumer spending in SA has come under severe pressure,” Gilmour said. Do you have queries or comments about this article? Email Mary Alexander at marya@mediaclubsouthafrica.com.